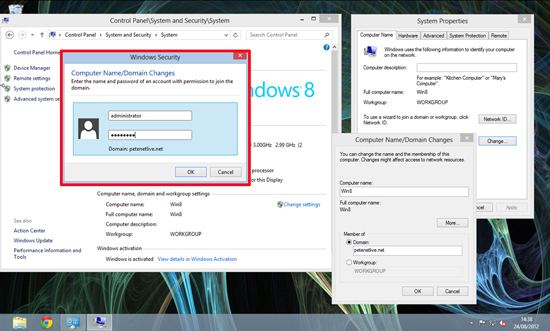 If you are struggling with the new Windows UI, then routine tasks like joining a domain can be hard to locate. Before you start, I’m assuming there are no problems with your domain and the Windows 8 client can resolve the domain name with DNS. 1. 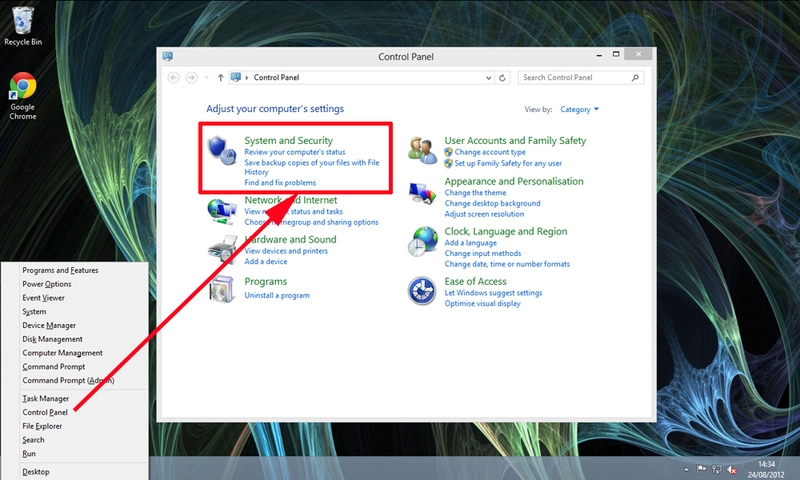 Press Windows Key+X to bring up the advanced context menu > Control Panel > System and Security. Technical Ninja Tip: You can launch the run command (Windows Key+R) and run the sysdm.cpl shortcut, then jump straight to step 3. 3. In the ‘Computer name and workgroup settings’ section > Change Settings > Computer name tab > Change > Select domain and type in the domain name > OK.
4. Provide domain credentials that have the rights to join the domain > OK. (You can also change the computer name on this tab). 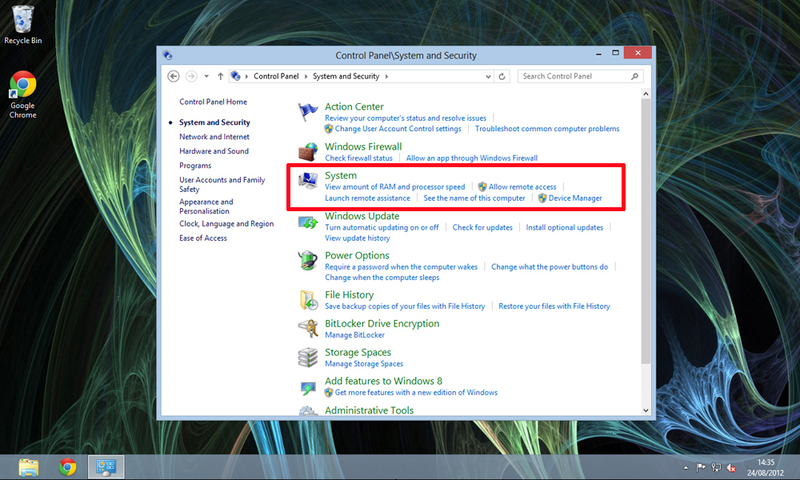 Note: A domain user has the right to join ten machines to a domain, but most people use an administrative account. 5. Providing Windows 8 can resolve the domain name, and the credentials you supplied are correct it should join the domain successfully > OK > OK > Reboot the machine.